You can’t change the world. But you can change you. There comes a point when there’s no going back. You’ve gone too far. You’re in too deep. You can’t turn around. The only thing to do is keep going. Turning points happen all the time, and we usually mark them with pomp and circumstance: birth, baptism, graduation, marriage, death, etc. Those are just the big ones. Life is marked by thousands of little milestones we pass along the journey. We celebrate these positive turning points, often with public fanfare. But we fall silent when it comes to the negative ones, the “little deaths” we suffer even as we go on living. People post pictures of prom and new cars and vacation smiles on the beach, but it’s more rare to see the private struggles come to light. But there’s hope. And no, we don’t have to wait until we die to get it. New life is possible now, even if you have to fight for it and die trying. We have to become Easter people. We have to wake up. We have to make resurrection and new creation, not death, the center of our very being. Suffering may not be your fault, but it definitely leads you to a turning point in how you face it. 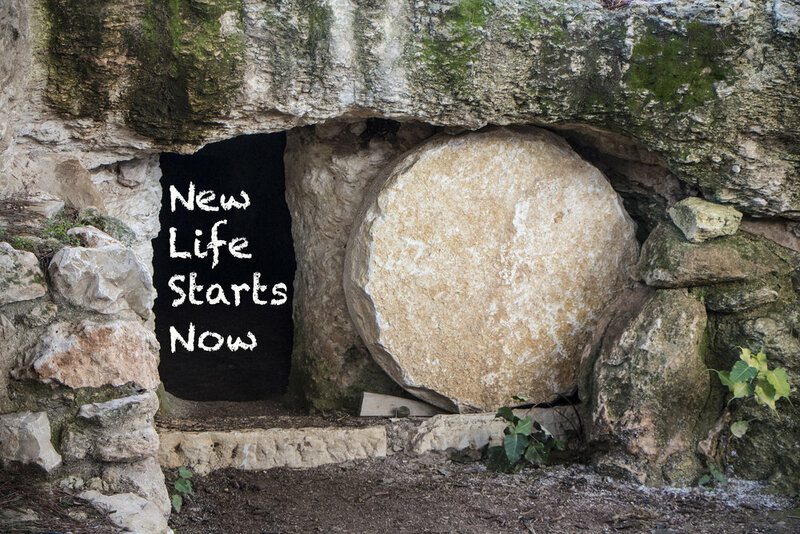 When Jesus walks out of that tomb, everything changes. People had been waiting on God to make everything right, but Jesus invites us to play our part–to live as resurrection people, here, now. “Why do you seek the living among the dead? He is not here, but has risen.” (Luke 24:5-6, ESV). Easter is the biggest turning point the world has ever known, but most of us miss the point. We think it’s about the future when really it’s about now. It’s calling us to wake up and do something about this broken world. Don’t just sit back and watch it all fall apart. Take action. Fight injustice. Speak up for the oppressed. Fund the research for disease. Share your brokenness and how you come to terms with it. No, you can’t change the world. Many problems are beyond us. But you can change you. You can wake up from that life of the walking dead and claim your role as an agent of God’s new creation. Waiting for a miracle? Be the miracle. Hope is right around the corner. Just keep walking. 1. Gordon W. Lathrop, The Pastor: A Spirituality (Minneapolis: Fortress Press, 2006), 125. 2. Powery, Rev. Luke A.. Dem Dry Bones (p. 3). Fortress Press. Kindle Edition. 3. Wright, N. T.. Surprised by Hope (p. 252). HarperOne. Kindle Edition. 4. Wright, N. T.. Surprised by Hope (pp. 252-254). HarperOne. Kindle Edition.